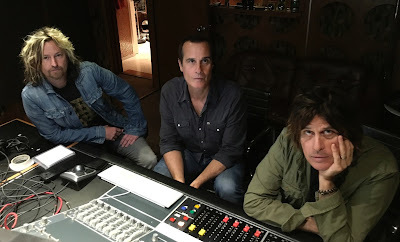 Stone Temple Pilots have issued a response to rumours that they have hired X Factor season three runner-up Jeff Gutt as their new vocalist. Entertainment Tonight reported that Gutt – who now goes by his full name of Jeffrey Adam Gutt – has been working with band members Dean DeLeo, Robert DeLeo and Eric Kretz for the past few months, writing and recording new material in Redondo Beach, CA. A source tells ET that Gutt and the band members have officially begun rehearsals in Hollywood this week, and are expected to tour next year. Not so, says the group. Stone Temple Pilots announced its search for a new frontman back in February after Chester Bennington departed to focus on his original group, Linkin Park. Bennington had replaced original frontman Scott Weiland, who parted ways with STP in 2013 and spent the next two years working on solo music and his group The Wildabouts. Weiland died in December 2015 at age 48 from an accidental overdose.